Buying Your First Home in Louisville? 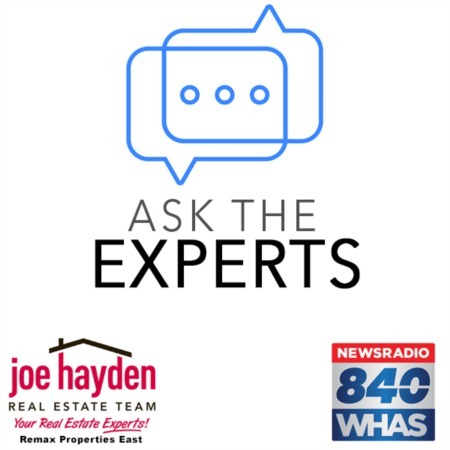 Everything You Need to Know About Moving to Louisville | Joe Hayden Real Estate Team - Your Real Estate Experts! Louisville is an exciting place for newcomers and lifelong local residents alike. If you're just moving to town, you'll find that the city is an incredibly welcoming place. However, there are a few things that you should be aware of before you make the move to Louisville. If you want to familiarize yourself with the city, take a look at this guide and learn more about what makes Louisville unique. The first thing to know about moving to Louisville is to know that you've made a great choice. Louisville is the sixteenth largest city in the U.S., and has been the recipient of numerous municipal awards including the "Most Livable City in America" award as voted by the U.S. Conference of Mayors. Louisville has also been named one of the top 10 safest cities in America, one of the top 10 cities in America for commuters, and Lonely Planet's number one U.S. Destination Spot for 2013. Louisville has been rated as one of Zagat magazine's top foodie destinations in the world, and has been dubbed by the Lonely Planet as "the new Portland." When you come to Louisville, there's one thing that can quickly set you apart as an outsider: your pronunciation of the city's name. Most out-of-towners will pronounce the city's name as "Loueeville" or "Lewisville." Locals, however, have a much different pronunciation. Ask anyone from Louisville where they come from and you'll hear something along the lines of "Looavull" or even "Luhvull." Get your pronunciation right and you'll start to fit in as a local much more easily. When you're in Louisville, driving isn't the only way to get around. Cycling is a popular mode of transport, and the city has an active cycling coalition and bike master plan. There's also plenty of public transportation in Louisville, including buses and downtown trolleys. If you are driving, however, be aware that all of the interstates in the area have names. The I-264, for example, is usually referred to as the Watterson Expressway. In order to avoid confusion while getting around, it's best to learn these names as quickly as possible. Louisville is certainly not a place where it's easy to get bored. There are always events on and things to do. The biggest event in town is the Kentucky Derby horse race, which has turned into a major city-wide festival which includes concerts, galas, art shows, parades, children's events, basketball games, poker tournaments, and Thunder Over Louisville, the largest fireworks display in the U.S. But there's more to Louisville than just the Kentucky Derby. Whether you enjoy theater, sports, symphonies, restaurants, thrift shopping, boutique shopping, architecture, history, or outdoor fitness, you'll find plenty to enjoy in Louisville all year round. Now that you know a little more about Louisville, the best way to get acquainted is to spend some time exploring the city yourself. If you'd like to find more information about living in this great city, you can also visit our Relocating to Louisville page, which contains plenty of helpful links, or check out the local organization New 2 Lou at new2lou.com, which helps newcomers to Louisville get acquainted with the city and build local connections.